yes, i still miss a lot. yes, that will continue. though putting a camera in front of my face has helped me notice more. the quiet light in the still of the morning, the way a tiny spider web in a tree outside our house is filled with dust from the road, the relationship between light & shadow, how peoples faces change when they speak about their passions, how every moment can be amazing if we look at it right. for years people/tribes/families have been passing on their knowledge via stories. i don’t know how it works, but it seems that when we communicate via stories, the transmissions are clearer, somehow easier to receive, and more able to be retained. in my own explorations of storytelling via photography, i have had some amazing conversations about what it means to live a creative life and how sharing parts of my story can be helpful and inspirational to others. and its helped me to understand, and appreciate, how stories can be used to more deeply connect with people i work with and in my circle of friends. i have a number of unfinished photography projects as well as a lot of photographs that will forever remain as pieces of digital data in my photo library. theres some real crap in there i tell you. and every single one of those pieces of crap has brought me closer to making some photos that i love. similarly, every moment i have spent trying something and failing has brought me closer to some future (or current) understanding. i have come to realise that every moment has something to teach me if i am open to it. 4. somebody will always know more than me. learn from them rather than being discouraged by it. when i first decided that i wanted to learn how to use my dslr well, i took a class. four days of practicing got me out of P mode and into using manual, aperture and shutter priority modes. when making photographs wasn’t enough and i wanted to learn ways to visually represent how i feel, i found a guy who talked the talk, and walked the walk, and spent more money than i had on a workshop of his. i don’t regret spending once single cent. that trip taught me a lot about a lot of things, one of which is that if i want to improve at something, find someone who is already doing it and learn from them. looking back at my life, i have actually done this a lot in my jobs! there will always be people who know less than me about some things too, so i have an opportunity to share my knowledge as well… which i believe i do willingly. when i first got ‘serious’ about making photographs i took a lot of classes and workshops. in the first few, i kept pretty quiet, second-guessing myself and worrying about how my questions might be received (refer to my use of the word stupid). then i realised that these people running the classes and workshops were making themselves available to me and i was short-changing myself by not taking advantage of that! so i asked more questions and learned more stuff. now i figure the only dumb thing i can really do is stop asking questions. how many ways can you photograph a scene? from up high, or down low… from behind it, or of the periphery… with a long exposure or as an artistic impression… these are just a few. two people can be standing in the same spot and will never see, or make, the same image. we can’t. because we are different. every single thing that has shaped our lives goes into viewing what we see in front of us. the way we photograph (and see the world) is always going to be different. and we can only ever act based on what we currently know. understanding this has brought more compassion into my life. i will never truly be able to see something exactly as someone else does but i can be open to receiving their point of view and appreciating how our different perspectives make for a more complete picture of the world. that photograph i made that someone didn’t like, or was flat-out mean about? that exhibition i did that was a disaster? yeah, those experiences can lead to a big pile of hurt. until i remember that its really not personal. not everyone likes my work, nor is that at all realistic. sure, every time i publish a photo, or some words, on the interwebs, its kinda like offering anyone who sees it a piece of my heart. and not everyone is going to be careful with it. not everyone is going to respond to my work in a kind way. and it is as much to do with them and their life experiences (and perspective) as it is mine. but i have to keep creating and offering, because closing myself off is not kind to me, or to the people who love me. besides, i don’t dig everyone else’s work either. one of the things i wrote on my manifesto is to “be my own first choice”. whatever you think of what i do, i have to ultimately be doing it for me. if you like it too, then great! and if you don’t, that should not be a reason for me to give up. even the crappy ones, the ones where staying in bed feels like it would have been a much better option than getting up and being in the world. even in those days where it seems like there will always be countries at war, where injustices are being overlooked, where nothing makes any sense. even in those days where i feel like selling all my camera gear and taking up knitting instead. my PT says, “when you feel like slowing down, speed up… keep going…. you are capable of more than you realise”. so, on the days, i can’t see beauty, i look again. and always, always find it somewhere. 9. though it is tempting to leave things until the last minute, don’t do it! there are two photo projects i started in london that i ran out of time to finish. i thought about them too long, did not spend enough time doing them and will not be able to finish unless we move back there (or i go there for a long, looooong holiday). both of them are taking up space in my brain, and probably will forever. leaving anything until the last minute sometimes means it is never finished, or it is rushed and not at all as satisfactory as it might have been if i made more time for it. i have a friend who died a few years ago who was not at all ready for it… she had too many things she still wanted to do. i want to get to the end of my life (and even just the end of each day) without amassing, or further adding to, a mountain of unfinished things. has your creative life altered, enhanced, or broadened your perspective? This entry was posted in thinking out loud and tagged i love lists, life lessons, photography. Bookmark the permalink. I could probably bore you with screeds in response to all of these, but I’ll stick to No. 10, with which I agree totally. What I have to remember, though, is that often the best photographs leave me lost for words, and anything I might say doesn’t do justice to the photograph. I have to remind myself of that when I post a photograph I’m particularly pleased with, because sometimes those photographs receive few comments — sometimes none at all. Often the comments will be along the lines of ‘Stunning’ or ‘Beautiful’, and although those apparently say very little, one way of interpreting them is that the commenter does appreciate the photograph but can’t find anything to say that doesn’t seem inadequate. Maybe, too, the commenter worries that mentioning something specific might suggest that’s the most important feature, or that the other aspects aren’t as strong. This is always a danger when talking about art. I suspect, though, that, much of the time, non-specific praise — or even silence — happens when the viewer is deeply moved but their feelings are simply too complex to articulate. 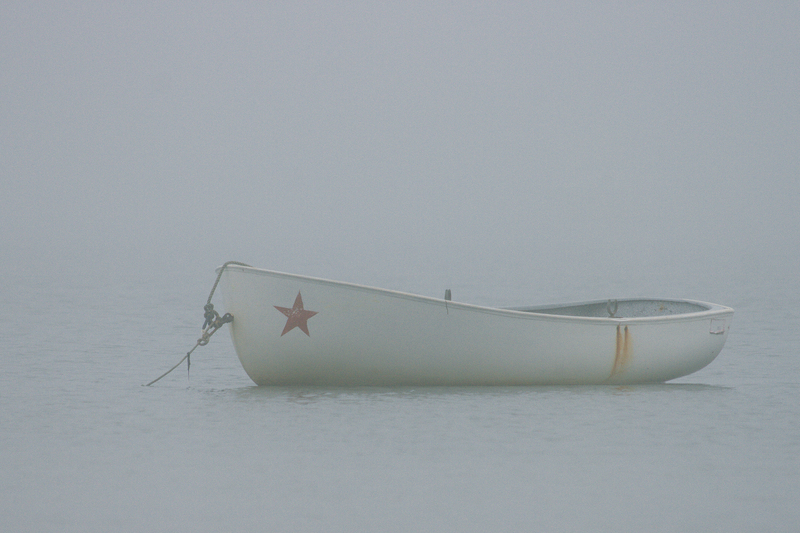 BTW, I love the photograph of the dinghy ;-) To be more specific in a vague way, to me it has strong elements of wabi-sabi — perhaps more sabi than wabi, but I won’t claim to adequately understand either concept. I just think I know what I feel. I wholeheartedly agree with this. Sometimes, when this happens, I try to still leave a comment to that effect. There are photographers (and other types of artists) whose work moves me in such a visceral way that very often how I’m unable to articulate how I feel about it, aside from saying that it has moved me or changed my view of something. I like your interpretation that the viewer might not be able to articulate what it is they appreciate about something. It’s certainly taken practise for me to be able to be more specific with my feedback (and even now I often fail).